Read for the Record 2017: We’re ‘quackers’ about reading and books! In GCPS kindergarten and 1st grade classrooms across the county… All over Georgia… Throughout the nation… Around the world… it seems that a whole bunch of folks were ‘quackers’ about reading on Oct. 19, when more than 2 million children and adults read the same book on the same day for Jumpstart’s Read for the Record. This global event boasts readers in all 50 states and more than 60 countries. 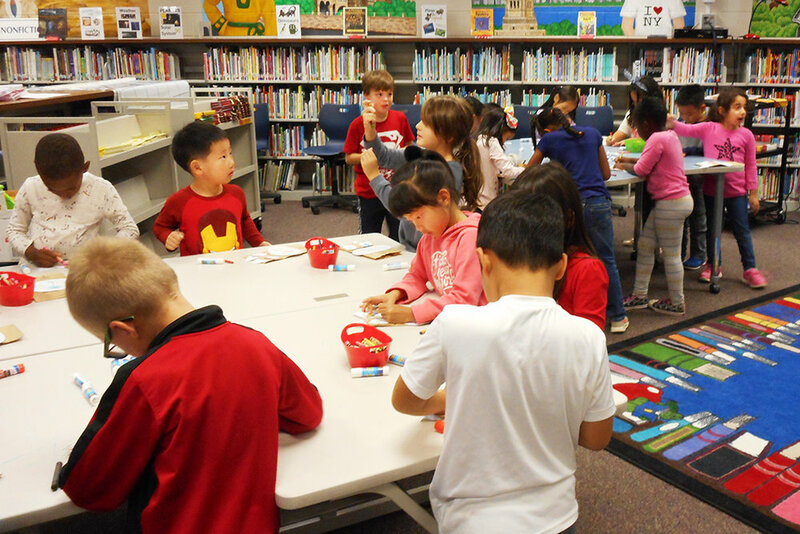 Now in its 12th year, the annual celebration of reading is designed to raise awareness about early childhood education, encourage policymakers to take action on early learning issues, and bring adults and kids together to read a great book. Jumpstart is a national early education organization working toward the day every child in America enters kindergarten prepared to succeed. This year, participants read Quackers, by Liz Wong, a wonderful story that follows a kitten who grows up believing he is a duck. This tale is about understanding, acceptance, and learning that it’s okay to be whoever you want to be. If you want your child to be a strong reader, there’s plenty that you can do at home. On the district’s website, find education tips for parents on ways to encourage your reader, support for young children, literacy skill-builders, at-home reading reinforcers, on-the-go literacy activities for the early grades, suggestions for great books for your ES student, and tips for sparking the writing bug in your child. 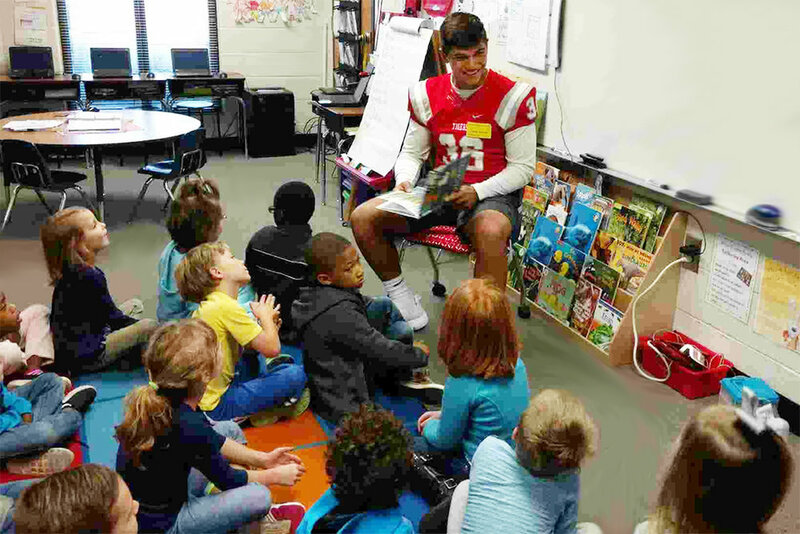 Reading aloud with young children builds literacy and language skills and provides positive reading experiences that instill a love of reading. Research says that children with strong literacy and language skills are more likely to succeed in kindergarten. And children reading on or above grade level by 3rd grade typically are better prepared for the reading they’ll do in higher grades and are more successful in the classroom as a result. And that “magic” is a child’s introduction to early concepts about words in print, oral language, vocabulary, and other critical foundational skills that set the stage for children to become strong readers. Of course, all that’s happening “behind the scenes” as far as kids are concerned. For young children, story time means some one-on-one attention from Mom or Dad at the end of the day, maybe a few minutes on Grandma’s lap, or a spot together with big sister on a cozy couch… that and an invitation into the magical world of reading. Even if you didn’t get to participate on Read for the Record Day, there’s no reason why you and your child can’t enjoy this book together! 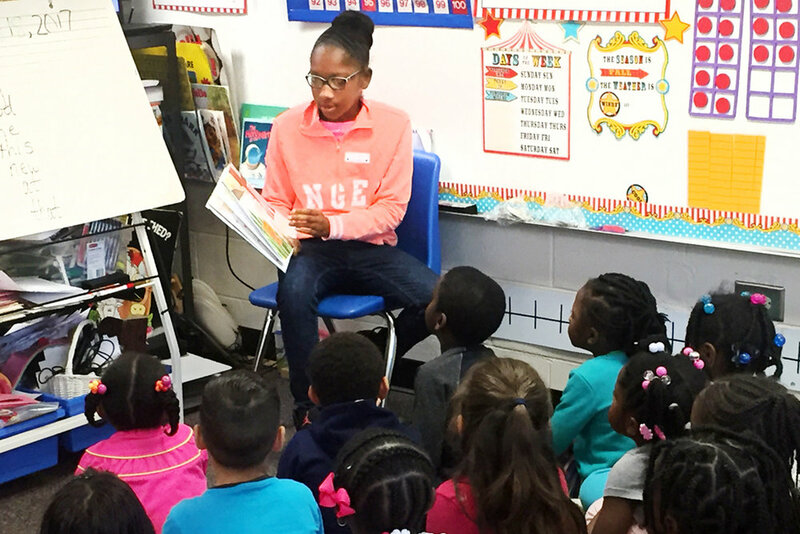 Check out Quackers with guest reader Brittany Mayweather, a teacher at Mulberry ES. And find some fun, educational Quackers activities for the family online as well. Gwinnett GROWS, the district’s early learning program, offering learning milestones from birth to age 5. Scholastic, the well-known children’s book publisher. Reading Rockets, to launch your young reader. Get Georgia Reading, a statewide campaign to help parents prepare their 4- and 5-year-olds for success in kindergarten. Raising Readers, an initiative of PBS.